This post is a further follow up from my original ‘Here’s a Quick Way to Understand PLC Inputs and Outputs’. There are basically two different kinds of PLC outputs, Discrete and analog. Discrete outputs are either ‘ON’ or ‘OFF’; 1 or 0. You can think of them as a single light bulb. Analog outputs have a range to them. They are outputs that usually will control proportional valves, drive speeds, etc. 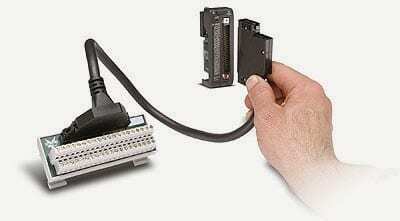 They usually have one of the following signals that are outputted from the PLC: 4-20mA, 0-10VDC, 1-5VDC. The above diagram has three outputs. A coil, light and motor. The Ladder outputs Y0, Y1 and Y2 control the outputs respectfully. You will notice that when the Ladder output turns on, the corresponding output card bit LED turns on. This then will energise the output hardwired to the device. The outputs are turned on or off at the end of every PLC Scan. 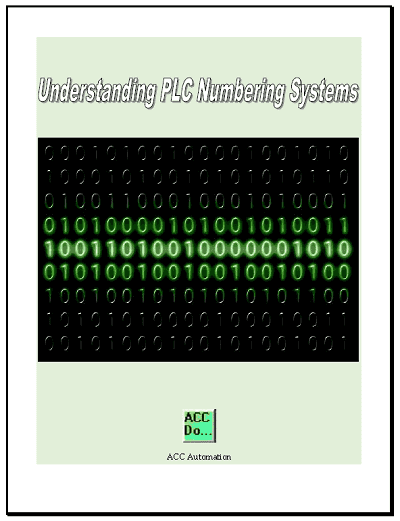 The PLC logic is solved left to right, top to bottom in most PLCs. Physical outputs are not set / reset until an I/O refresh is performed at the end of every scan. This means that if I have a scan of 1msec, then the maximum time it will take to turn on/off the output is 1msec. 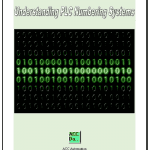 PLCs will sometimes have the ability to update the I/O in the middle of a scan. Please refer to your PLC manufacturers manual for this instruction. This can be used for updating the I/O quickly or controlling stepper drives for motors by giving them a pulse train output from the discrete PLC output. A pulse train is just a quick series of on/off states of the output. An analog output converts a digital value to a voltage or current level that can be used to control (vary) physical outputs. In the example above we are controlling the speed of the motor. Words in the PLC will control the analog value. In the industrial environment noise from variable frequency drives, improper grounding, etc. can interfere with your analog input. The following post will show a quick method to reduce this noise.